What is BNP Paribas doing, and why is the CMF silent? The French BNP Paribas no longer has confidence in Tunisia and is leaving. This is in any case what emerges from the letter sent by the majority shareholder (50.08%) at UBCI to its employees and also to the CMF, of which an emissary had gone to meet to tell him about what had been called “a strategic reflection on the participation of BNP Paribas in the capital of UBCI”. 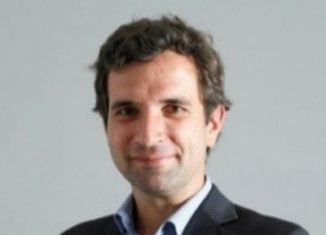 From January 21, 2019, AfricanManager tried to get in touch, by mail and personal phone, with this emissary, French Michel Vial. He will never answer, even the voice message left on his phone. Then follow the information, not denied by the management of UBCI in Tunisia, citing discussions in Paris, between the French bank and a possible buyer identified as Jordanian Arab Bank. We also contacted, by telephone, the Tunisian bank which did not want to confirm or deny the whole affair. We know that by writing this article, we are likely to, financially, get a rap on the knuckles, UBCI being one of our advertisers. We take the risk. 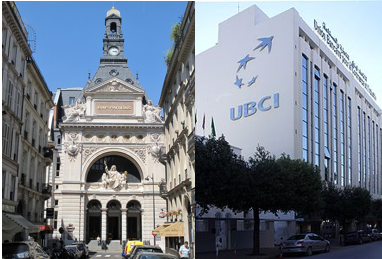 UBCI is not the worst foreign bank in Tunisia. In 2017, it achieved a net result of more than 40, MDT after an income from banking operations of nearly 300 MD and an NBI of more than 200 MTD. In addition to its share of profits, the French parent bank also levied large commissions under assistance agreements, against which the Tunisian justice and the BCT had ended up by canceling them. And even the Tunisian tax office intervened. According to the French site “Statista”, UBCI is also far from being the worst of the BNP Paribas Group subsidiaries, which ranks 5th ahead of the Ivory Coast, Bahrain, Senegal, the UAE, Burkina Faso and Qatar, where the BNP makes significantly fewer profits. It is not, in principle, a bank where we decide to disengage. In the end and after the departure of the Banque Populaire from the capital of the BTK, it is important to note that this planned withdrawal of the BNP Paribas can only be interpreted as the signal of a lack of confidence of the French financial system in the prospects of Tunisia. Others will certainly go so far as to say that France is demotivating towards Tunisia and its economy, and some of the nationalists on all sides may be pleased with it. In any case, it is far from being a positive sign for the Tunisian economy! It is true that BNP Paribas was not particularly clear in its press release. It talks about “strategic thinking” and “possible partners, enabling UBCI to realize its potential”. That release, fussy at will, did not talk about disengaging, but seeking partner, other than BNP, for its current subsidiary. One would wonder then how the CMF (Financial Market Council, which is the authority of the stock market where the UBCI is listed) could understand it otherwise and not to require a clear and precise communiqué. “BNP Paribas IRB Participations’ public information, communicated through BNP Paribas, risks creating a panic among Tunisian savers, customers and staff at UBCI,” said a Tunisian shareholder at CMF who asks to inform the public of the development of the situation. On March 14, 2019 alone, UBCI security at the TSE decreased by 3%. What more, on the stock market, to at least seek clarification from the French bank and why not even suspend the listing of UBCI and protect the local investor, as he boasts? At the UBCI, and while local media even mention names of possible buyers of the bank, Pierre Bérégovoy does not say a word, not even to deny and calm a market that could know some manipulations. Article 4 of Law 94/117 is however clear: “At the request of the Financial Market Council, those companies must disseminate this information or any additional explanation required by the Financial Market Council by press releases”. BNP Paribas has however contented itself with a vague statement! Some Tunisian shareholders are currently in court against the Tunisian bank. Would not they be among those whose CMF should defend the rights? This, if we do not take into account the danger of such “reflection”, for a bank whose information system is owned by BNP Paribas and for which the change will require a lot of time. A bank listed on the stock market that would sell on the sly? So far, the UBCI gives the impression of being in the process of selling more than 50% of its shares, on the sly. It is not clear whether BNP Paribas IRB Participation is aware of the law of the stock exchange which obliges any purchaser of a block of shares, likely to confer a voting right, either by public offer or with specific shareholders, to submit a file in this sense to the CMF, which decides taking into account the interests of the rest of the shareholders. 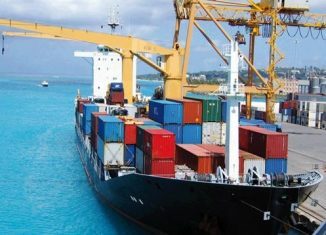 The CMF could, as hoped for more than a small Tunisian shareholder, order an offer to purchase the rest of the capital. Another French bank, classified as a publicly traded company and where the Tunisian state is a shareholder, had obviously done so and the CMF would have found nothing to complain about!